At the Likud faction meeting today, PM blasts what he calls Israel's 'industry of dismay,' and emphasizes that he won't leave his post. 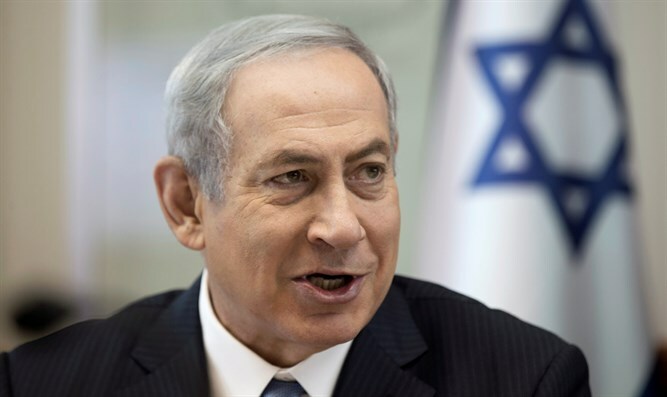 Prime Minister Netanyahu alluded at the Likud faction meeting today to the “submarine affair” and the accusations against him of corruption. He also related to his recent visits to Be’er Sheva, where he was exposed to cutting-edge hi-tech advances made by Israel, and to Wolfson Medical Center in Holon, where he met with children who had arrived from all over the world for cardiac operations. “There are those who are determined to constantly [present Israel in a negative light], there is a whole industry here of ‘dismay,’ under whose framework they tell us how bad it is here,” he said in reference to the press and the opposition. “I say to my friends in the opposition: ‘you want to convince the public? Then present your opinion, we will present ours, and the public will decide,’” he said.